Compare the Mascaras! Here is where I will be comparing three mascaras, reviewing them and picking a favourite. 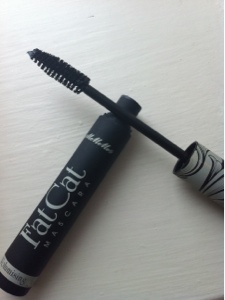 Fat Cat Mascara by MeMeMe is available for £7.99, it was a mascara that I recieved in my February Glossybox. This mascara states it "creates lashes full of volume and alluring depth" this mascara has a large brush, which i personally prefer but does it do what it states? I wouldnt say it adds depth, but it sure seperates each lash and add length, I personally feel this mascara is great as a lash length primer then add a volumising mascara on top which would have great results. Also, if you want a natural look this is perfect for that, but the one thing that can be off puting is the smell, but only if you actually put it to your nose do you smell the odd scent! 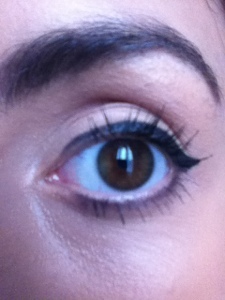 Benefit They're Real Mascara retails at an expensive £18.50!! In my eyes for that price it needs to show results. This mascara has had some great reviews, I was intrigued to see what all the fuss was about, and at first I was not disapointed, it even made a favourite, but as time got on I became to not be best pleased. At first this mascara gave me long lashes with its thick brush yet small bristles, it has a handy ball at the end which helps seperate the bottom lashes and ive got to say it is effective, but as time went on I noticed more niggles, such as actually it doesnt thicken my lashes in a way that reflects the price and it clumps! It has started to annoy me a lot, I only got this december and within a month I noticed how badly it left clumps. I wouldnt repurchase this. 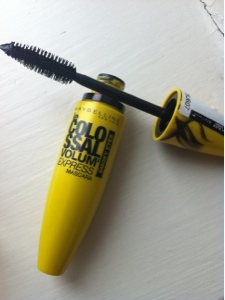 Maybelline Colossal Volum' Express which retails at around £5.99. This bold packaged mascara has a large wand which as I have said is something I like. 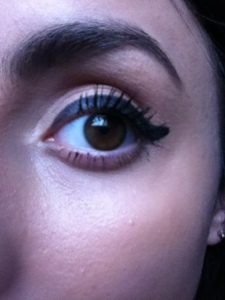 The mascara needs a lot of layering to create what you can see in the swatch picture. The mascara lengthens and seperates the lashes really well, but does not thicken as the name states. This mascara is a good price and has eye catching packaging but overall the results don't make me have an urge to repurchase. If you like a natural look then this is for you. Benefit They're Real! But not by a huge score! Great reviews hun, the benefit one looks the best out of the lot but I had clumping lol, xoxo. "They're Real" looks much better than the rest. Ooh never heard of that mascara, sounds interesting! Is it henna? Ah never thought of that! Another person who got it also said it smelt. 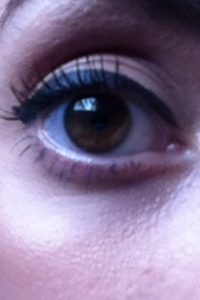 Would it damage my lashes it its off? 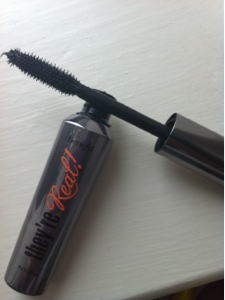 I just got 'they're real' mascara and was excited to review it - but found it quite thick and sticky?